Ladies! 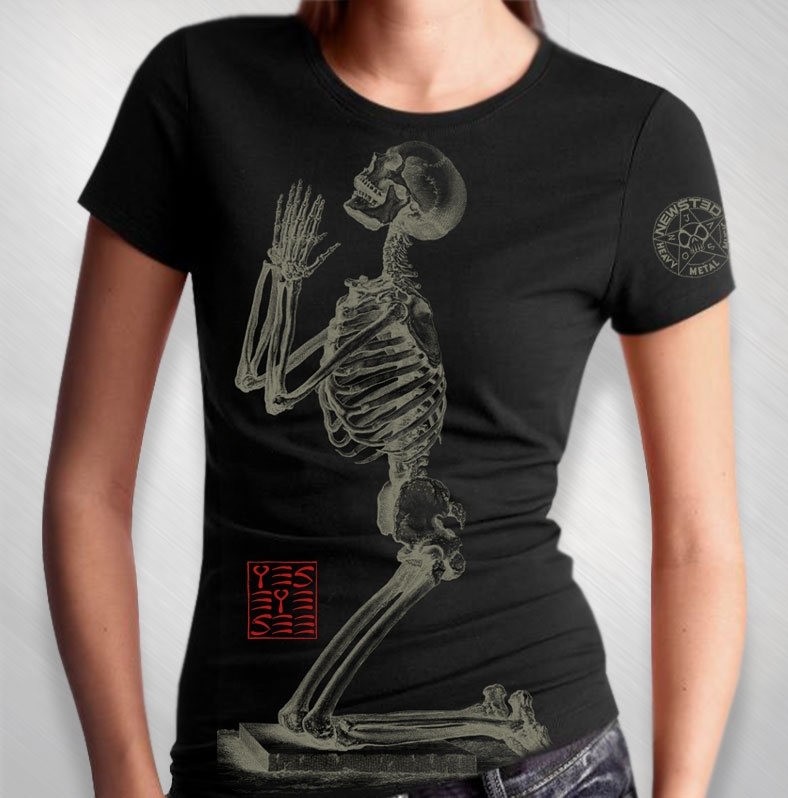 Jason Newsted's "Praying" oversized print on front of 100% cotton, women's black Tultex tee. The Newsted star logo print on the sleeve.